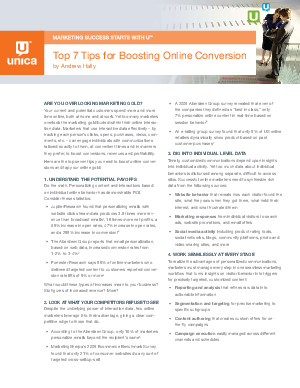 Download Top 7 Tips for Boosting Online Conversion to find the marketing gold within your online interaction data. By tracking each person's clicks, opens, purchases, and comments, and then putting that data to work, you can engage your individual customers and visitors with communications tailored exactly to them, at convenient times, and in manners they prefer -- achieving higher conversions, increased revenues and improved profitability. Register now to boost online conversion results.